2016 Pantone Color(s). YUK or YEAH? I have predictive powers! 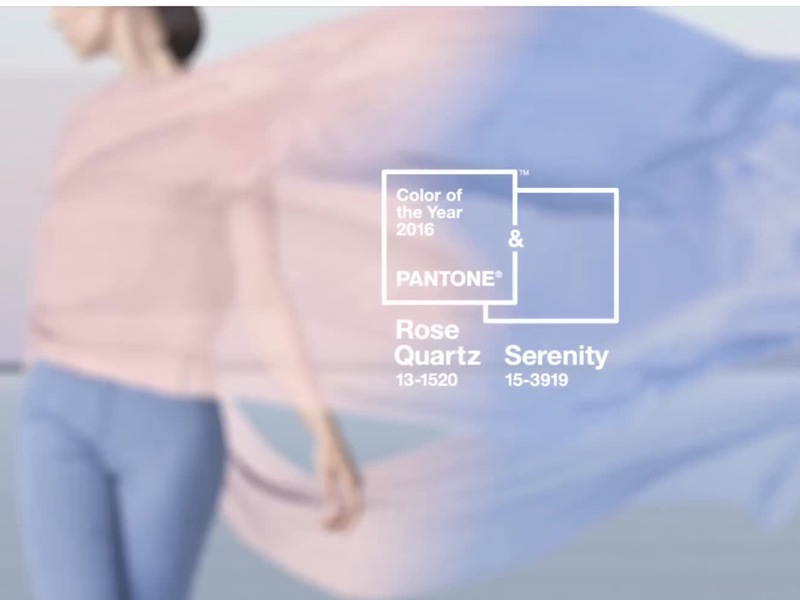 The release of Pantone 2016 colors(s) proves it! Just because I have foresight, doesn’t mean I have to like it. My reaction was an emphatic YUK!! !, as I’m a neutral person with pops of bright, intense color. First time two colors have been chosen. Then I glanced down at my sweater…yes, I’m wearing blue. Granted it’s a brighter teal than Serenity, but definitely on the pastel side. Next, I opened a drawer and pulled out a Pink (horrors) sweater. OK, the pink is a greyed/sanded pink. So you see, I knew all along what the 2016 color palette would be. The blue sweater is eons old but recently pulled it out from the bottom of the sweater pile. The pink one is a Calvin Klein just purchased when early autumn collections came on sale prior to Christmas. Come to think of it, also have some fairly new lite blue denim leggings . Told you so; am prescient! 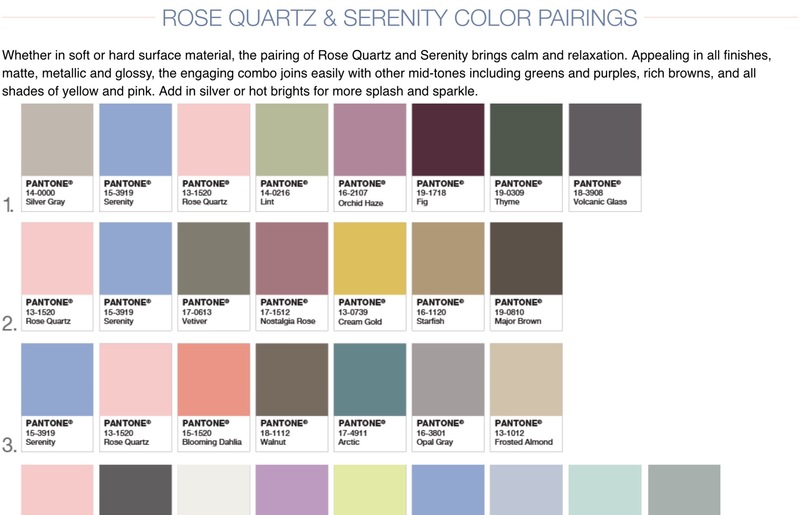 Here are color pairings–Yikes, I see some Neutrals. Am a happy camper. And, the colors migrate across all collections–Art, jewelry, furniture, interiors. 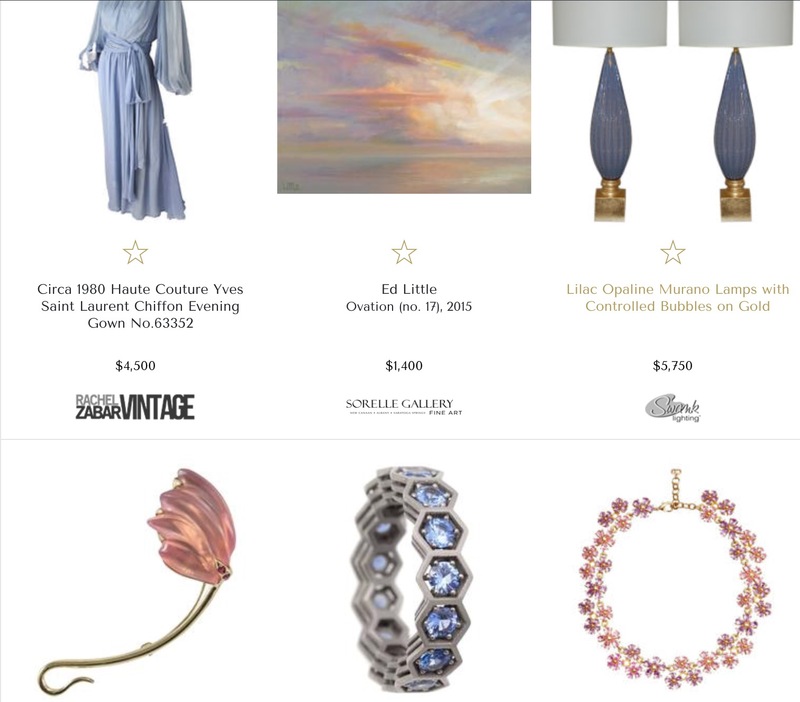 2016 Pantone colors in art, furnishing, jewels. What do you think? Will you be updating with Pink and Blue? Post your photos on my FB page. 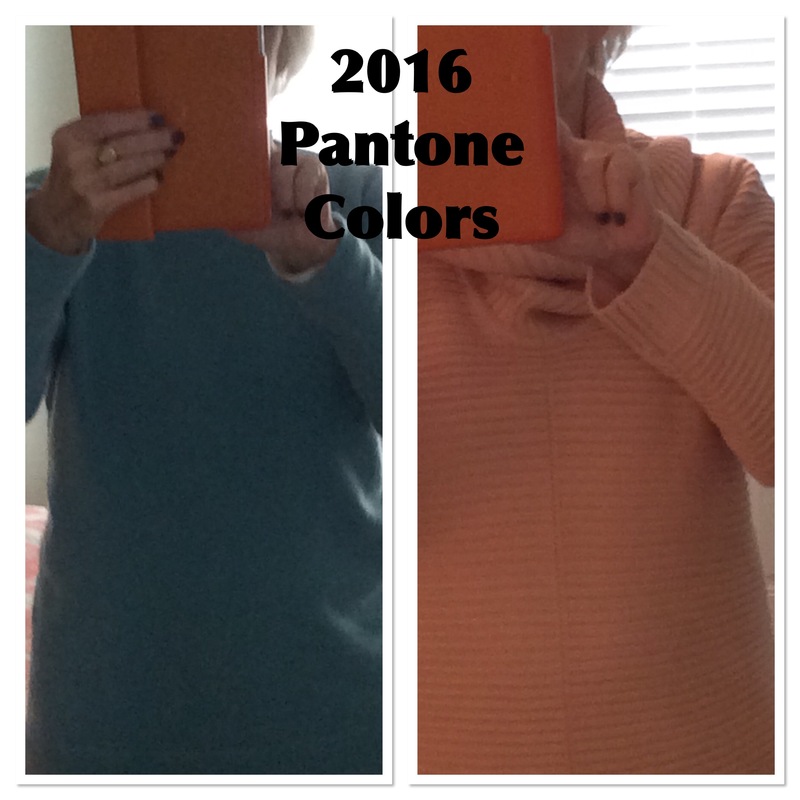 This entry was posted in FIBER FASHION FUN and tagged 2016, blue, Pantone, pink, prescient, Rose Quartz, Serenity, yuk. Bookmark the permalink. 2 Responses to 2016 Pantone Color(s). YUK or YEAH? I think your two sweaters appear in line 3 as Blooming Dahlia and Arctic. I quite like the Pantone colours of the year as they are Cool-Lights that work well with my complexion. But I find them a little wishy washy and I don’t love them paired. Thanx for identifying my colors. ‘Arctic’ is a much better name than ‘Serenity’; I’m anything other than Serene. ?